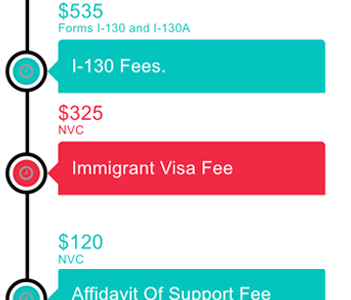 What forms to submit, evidence to provide and fees to pay for a U.S. family-based green card. 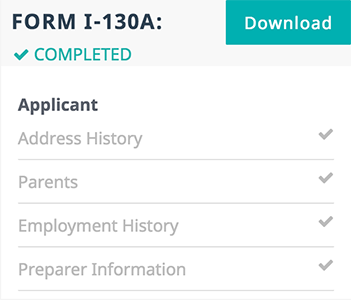 Form I-130 (and I-130A for spouses) is submitted by the sponsor on behalf of the applicant. Form I-485 (for adjustment of status) or form DS-260 (for consular processing) are submitted by the applicant. Form I-864 (affidavit of support) is submitted by the sponsor. Form I-693 is completed by a designated doctor. Electronic notifications (G-1145), optional forms such as employment authorization I-765 and Advance Parole I-131, as well as affidavit of support variants may also be part of the green card application. Are all the required questions answered? Can U.S. immigration agencies read the answers on the form? Are all answers using only permitted values? Do the same questions have exactly the same answers? Do any answers contradict each other? Are the answers compatible with eligibility criteria? Applicable forms must be 100% complete, valid, consistent, logical, and showing eligibility. Supporting documents must be adequate, issued by the appropriate authority, and in English or translated. The correct amount must be paid with an appropriate payment method. What kind of evidence should be provided? 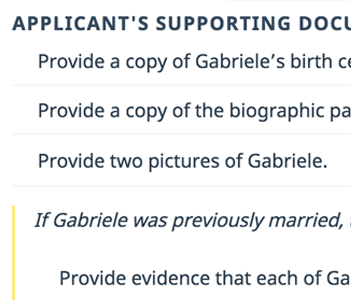 Do the documents establish the sponsor’s status as well as the family relationship between sponsor and applicant? Are documents issued by the proper civil authority? Is the information contained in the documents identical to the information reported in the forms? How should the evidence be presented in text? Are all the documents copies of the original? Are all non-English documents translated into English? Are all documents relevant to a form attached to that form? What are the fees and their appropriate payment method? U.S. government requires that a correct amount must be paid with an appropriate payment method. Fees vary depending on the form and might have related additional expenses such as doctor’s fees for a medical examination.